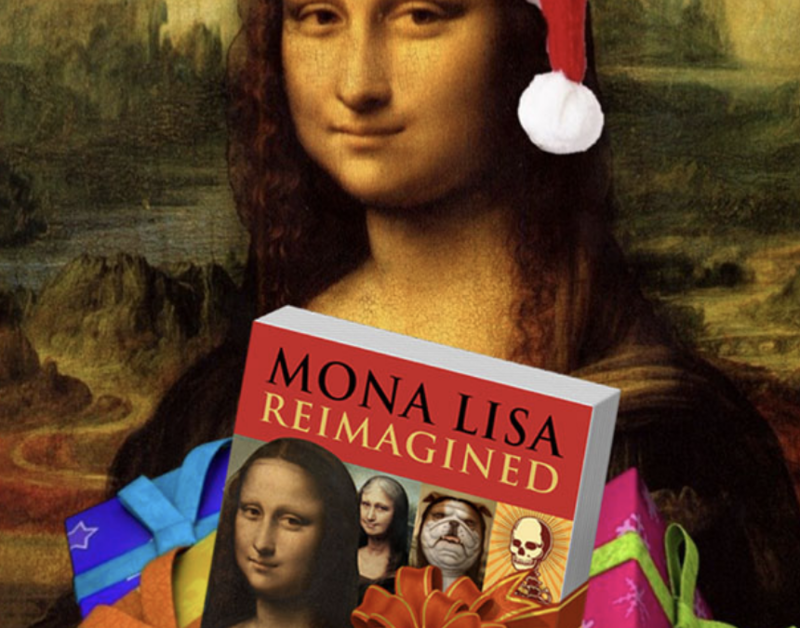 Fascinated by the legacy of Mona Lisa, I’ve decided to publish ‘Mona Lisa Reimagined’, an anthology of hundreds of pieces of art that have been inspired by this priceless world treasure. This book features nearly 300 both established and emerging artists from over 50 different countries, making it the largest, most comprehensive collection of Mona Lisa-inspired artwork ever assembled in history. No painting in history has been reproduced as often as Mona Lisa. Just what exactly is the mysterious allure of this portrait that has inspired unparalleled levels of imitation? Though many explanations abound, there really can be no definitive answer, as the ambiguity of Mona Lisa is certainly one of the major factors of its indelible appeal. It was quite a struggle finding the right publisher for this project. Though the entire process was frustrating at times, I never gave up and always felt strongly that it was just a matter of time until I find the right one and I did. American artist Mark Stephens was commissioned to create this painting in 1989, commemorating the 67th birthday of PEANUTS comic strip creator Charles M. Schulz. The apparent playfulness of his work disguises a deeper reflection on the complexity of postmodern existence and the mystery of personal identity. “In the contemporary digital age, our fingers are the tools we use to handle touch screens, mouse devices, and keyboards, connecting us with the world. Thus, in a sense, each of us are hiding behind our finger while surfing the internet or communicating online. The finger is the image we project of ourselves, the mask we wear, even in real life” explains the artist.